Back in August, I went to BlogHer. I met some bloggy friends. Who I follow on Twitter and read their blogs. Picking up initial order of GS cookies – pls buys some so I dont eat them all and end up having a 12 lb baby. Free ship if u get 5 boxes! 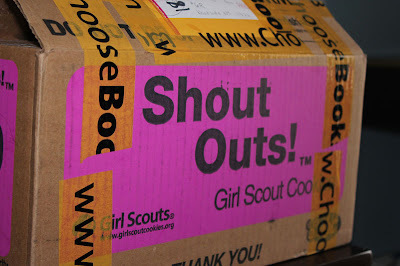 And I love girls scout cookies. Back in Indiana when I taught dance classes, I always stocked up. There were a ton of girl scouts. And someone was always selling outside of Wal-Mart or Kroger if I forgot to order. Then I moved to New York. And no Girl Scouts (well there are scouts here, but they are hard to find, and I don’t know any) so no Girl Scout Cookies. So I tweeted back. And placed and order. And after two blizzards delayed shipping. Different names for some of the cookies. Peanut Butter Patties instead of Tagalongs and Caramel Delights instead of Samoas. But they still taste the same. Rob tried to eat a whole box of my PB Patties. I told him those were for me and his baby. The Caramel Delights were all his (I don’t like coconut). The Thin Mints are for sharing. 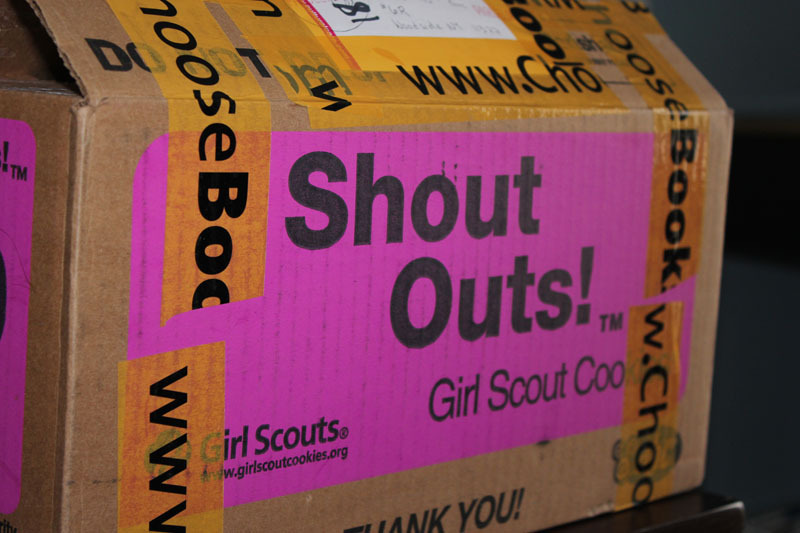 Even if I never have a Girl Scout of my own, now at least I can get some cookies. Thank goodness for bloggy friends.